The Japanese pioneered various kinds of technologies and one of their latest offerings happens to be quick response (QR) codes. It is surprising to note that it took a lot of time for the same set of codes to give extensive exposure in the European and American continents. These days, we use QR codes to encode the URL of any website. You can find QR codes of diverse kinds in magazines and on websites. All you have to do is the following – use a mobile phone, which has an auto-focus camera to read the information, coded within the QR code. 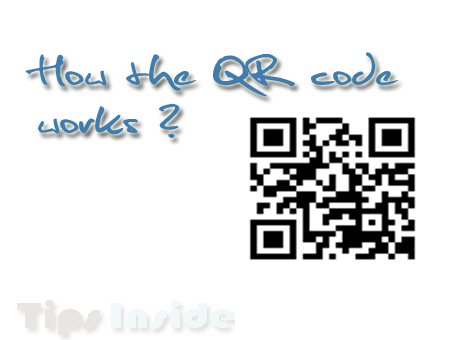 It is important to have the necessary software that will allow you to read the QR codes through mobile phones. Such software is available for free from countless online sources. Upon decoding the information present in the QR code, the phone will open the default browser and load the website. One of the best advantages of using QR codes is the fact that you do not have to note down or remember the URLs of interesting websites anymore. Almost all of us have access to a Smartphone with auto-focus camera. Just install the necessary software and start loading websites in a moment! Technology has this habit of evolving as per the requirements of the masses. Originally, QR codes helped in locating various websites. With the passage of time, people began to use the same technology for conveying short messages to their friends and loved ones. It is possible to convert any kind of alphanumeric text into these codes. The technical specifications of these codes are definite in nature. In other words, you do not have the provision to alter the default specifications that you need to consider while creating a QR code. This will only help in giving that universal appeal to the code. The standard procedure helped a lot because you just have to install just one software to read all of the QR codes that you might come across. There are various underlying techniques in place; this will help in making the same much more robust for everyday usage. Generating a QR code is easy and you do not have to know all the technical specifications in order to come up with these. Various online as well as off-line software programs can help you with this chore. Making simple QR codes is easy through these online services. Most of the service providers will offer a limited number of QR code for free. If you wish to incorporate additional information into the same QR code, it is better to opt for professional services. As expected, you will have to make nominal payments to enjoy top-notch services. I have tried These Apps for QR codes and these are really wonderful. Any Other Tools which can be Tried over Mobile Phones?